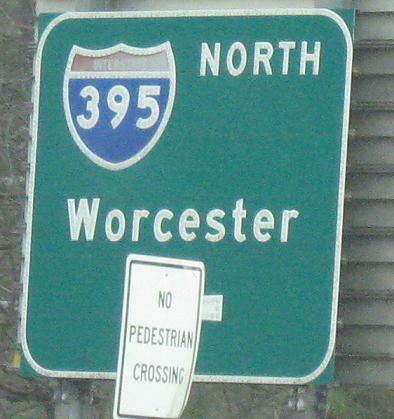 In the absence of a completed I-84 between Hartford and Providence, CT 101 is one of the key east-west highway links, keeping traffic off of the dangerous two-lane "Suicide 6" stretch of US 6 in CT. All photos but one are EB. 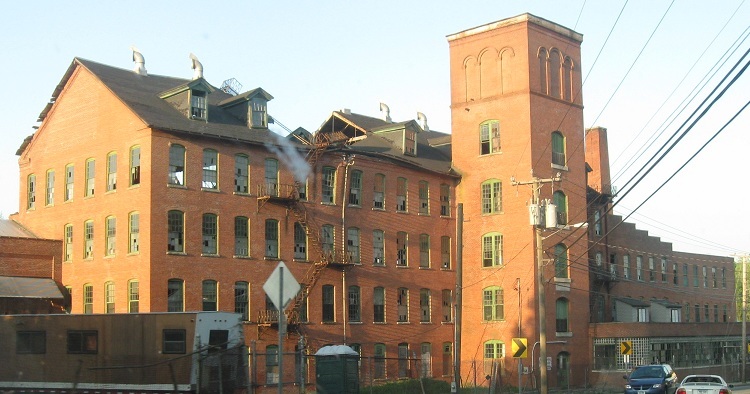 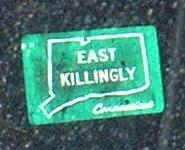 EB from the very beginning of the route, where destinations just seem to get tacked on as towns ask for them. 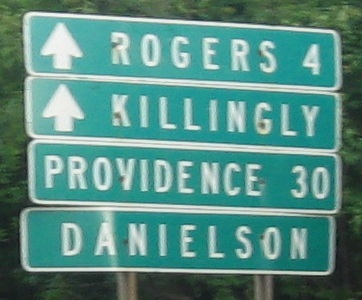 Sometimes they end up lacking distances as a result, and there's no distinction between CT and RI. 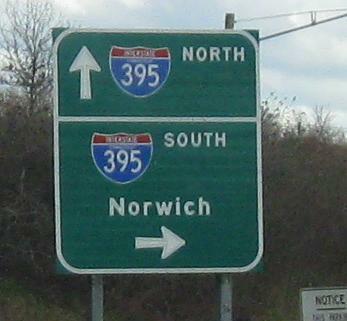 What every roadgeek should love: state-name Interstate shield and button copy. 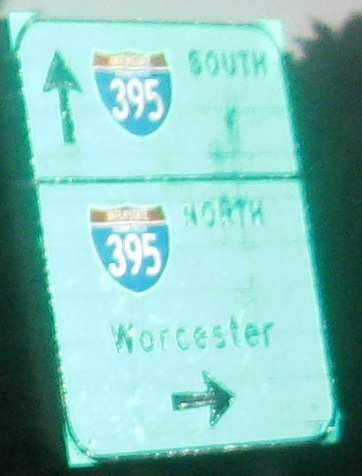 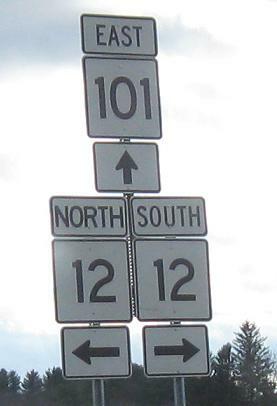 What every roadgeek should hate: the wrong style of shield (thin outlines with white borders are Massachusetts; thick black borders are Connecticut). 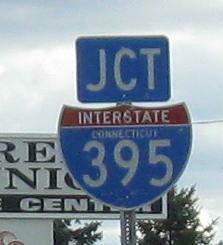 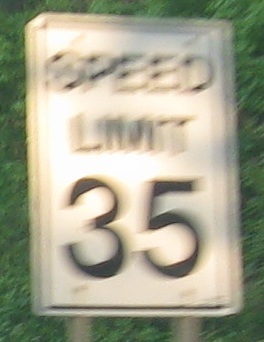 Typical CT town line sign. 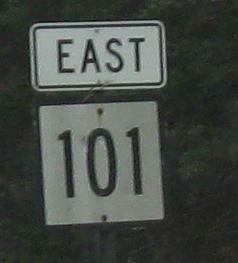 EB past another ugly sign to the Bog Meadow Reservoir.